Brisbane’s property market continues to perform well at a time when many other markets are languishing. 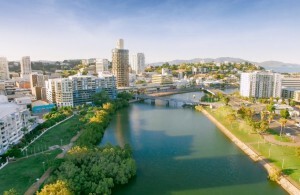 The Brisbane annual median house price grew 3.1 per cent to a new record of $670,000 in the March quarter, according to the REIQ March Quarter Queensland Market Monitor report. However the apartment market is still suffering from oversupply with prices easing 1.8 per cent over the 12 months to March 2018. Brisbane real estate was buoyed by steady population growth driving demand and underpinned by good economic fundamentals. Overseas migrants saw Brisbane as the place to be, bringing 12,847 residents into the city, followed by the Gold Coast and Moreton Bay. Queensland has now become the number-one destination for internal migration, taking over from Victoria and overseas migration is at its highest level in years. As always, the markets were fragmented. Some areas underperformed, 68 suburbs far exceeded the average level of growth and almost a dozen suburbs had double digit price growth over the last year. In the past 12 months the Real Estate Institute of Queensland’s figures show Indooroopilly, where the median house price increased by 24.1 per cent to $1.01 million. 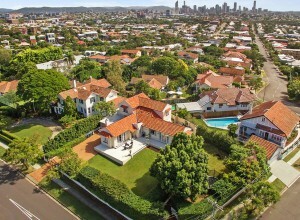 The best performer in the March quarter was Paddington where the median house price rose 19.8 per cent to $1,269,500. 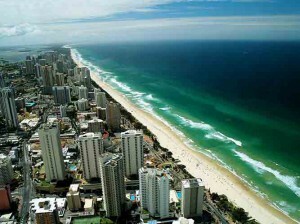 Here’s what the REIQ says is happening around the Queensland property market. The Ipswich house market grew 3.0 per cent, to a new annual median house price of $340,000. March was a quiet quarter for this market, falling 1.5 per cent, but over the year it performed well. The growth in the house market was offset by falls in the unit market, contracting 3.0 per cent over the 12 months to March 2018, to an annual median unit price of $319,900. As with other markets, it is likely that population growth will start to absorb some of this stock soon, however, due to the area’s houses being so affordable, units are competing with a range of stock types to find buyers. You can buy a unit for $319,000 but just $20,000 more will net you a house. Ipswich reported a population growth of 3.2 per cent for the year to June 2017, the largest annual population growth for any local government area in the state for that period. The Logan house market delivered among the strongest performances for all markets in the March report, adding 4.0 per cent to the annual median house price, to $395,000. The unit market was one of the few markets to grow, adding 0.7 per cent to an annual median unit price of $271,000. However, over the past five years the unit market has fallen 7.5 per cent. 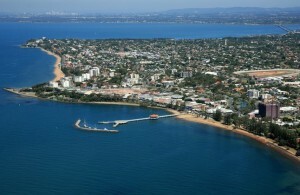 The Moreton Bay annual median house price grew a steady 2.4 per cent over the 12 months to March, to deliver a median house price of $435,000. This growth is the smallest in Greater Brisbane. The unit market felt the pain of the combined factors of strong supply and the affordability of houses, with a 3.8 per cent contraction in the annual median unit price to $346,250, down from $359,900 this time last year. Redland LGA delivered rock star growth of 3.9 per cent for the year to a median house price of $530,000. The heavy lifting was done in the suburbs of Birkdale and Cleveland which delivered 6.3 per cent and 6.7 per cent growth respectively. 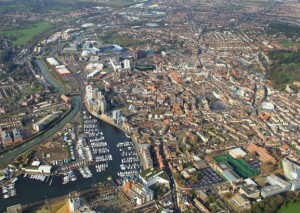 The lifestyle and affordability options in this region are proving very popular with buyers. Similar to the house market, the Redland unit market delivered stellar growth over the 12 months to March 2018, adding 3.4 per cent growth to a new median unit price of $409,500. This was by far the strongest unit growth in all of Greater Brisbane. The Gold Coast has taken the gold medal for annual median house price growth again, adding 6.0 per cent growth to a median house price of $620,000, the highest growth in the state. Gold Coast house owners now have an asset that is worth an additional $35,000 more than it was this time last year, thanks to strong capital growth. The unit market added 1.9 per cent to deliver a median unit price of $428,000 for the year. The Toowoomba market has been a consistently steady performer, delivering 1.1 per cent growth for the year to March 2018, and a median house price of $355,000. The unit market has defied regional trends throughout most of 2016 and 2017, however, gravity is now catching up and this market contracted 2.9 per cent to $300,000. The market remains 17.6 per cent larger than it was five years ago. The Sunshine Coast Statistical Division (SD) (incorporating the Sunshine Coast LGA and Noosa Shire) house market has delivered moderate and sustainable growth for the quarter, the past year and the past five years. A typical house in the Sunshine Coast SD increased in value $31,250 for the past year, to reach an annual median price of $576,250. 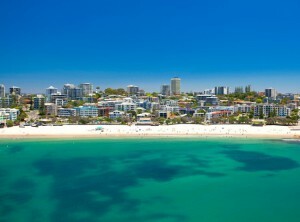 Noosa continued holding the title of the most exclusive market compared to the Sunshine Coast local government area as Noosa houses generally cost $100,000 more. In March 2018, the Noosa median house price reached $665,000 compared to the Sunshine Coast median house price of $563,000. 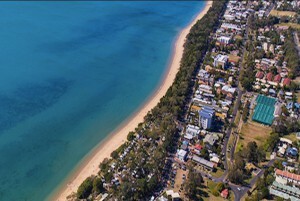 The Noosa unit market also performed well for the past 12 months, growing a stunning 7.1 per cent to reach an annual median price of $525,000 and remaining as the most expensive unit market in Queensland. Unit prices in the Sunshine Coast local government area increased 2.8 per cent, to $405,000 in March 2018. The Fraser Coast house market continues to be a steady performer, with annual median prices holding steady for the past quarter and increasing very modestly (only 1 per cent) for the past year. A typical house in Fraser Coast had an annual median price of $315,000 in March 2018. The unit market performance was weak in the March quarter. However, its performance for the past year was better compared to the house market as the annual median unit price increased 2.2 per cent. A typical unit in Fraser Coast had an annual median price of $259,500 in March 2018. Only about 11 per cent of the regional dwellings were units. The regional population growth of 1 per cent or 1045 residents for the year to June 2017 was driven primarily by internal migration of 983 residents. The outlook of the house sales market is steady and remains heavily dependent on the regional economic fundamentals strengthening in the year ahead. The Bundaberg house market has held its ground over the past five years, with a house costing about the same today as it did five years ago. However, the market showed small growth levels of 1.8 per cent over the past 12 months, which is encouraging. The unit market performed a bit better than the house market over the past five years. A unit in Bundaberg increased in value from $251,400 in March 2013 to $259,000 in March 2018. The Wide Bay SA4 employment market remained weak this quarter as the unemployment rate increased from 9 per cent in December 2017 to 9.2 per cent in March 2018. We hope the investment on the $210 million Childers Solar Farm, the $30 million Bundaberg CBD revitalisation and the proposed $18 bio-refinery project support regional confidence and create job opportunities. Regional population in the Bundaberg local government area recorded a small increase of 405 new residents, to reach 94,858 total residents for the year to June 2017. The key drivers for the increase were overseas migration and to a lesser extent the natural increase in population. The outlook for the rental market in 2018 is also stable and partially supported by the regional infrastructure program. 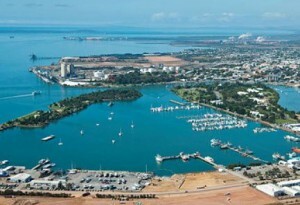 Gladstone has stared down some of the most challenging market conditions in the state. This market lost 8.5 per cent over the 12 months to the March quarter, to a median house price of $280,000. This market is more than 38 per cent below where it was five years ago. The unit market fell 36 per cent over the past 12 months to an annual median unit price of $167,500. The rental market provided some good news for the region, with vacancies tightening for a third-consecutive quarter to 4.1 per cent. In a typical real estate cycle, the rental market tightens, indicating people are moving to the area and then six to 12 months later we start to see an improvement in the sales market as those renters become buyers. 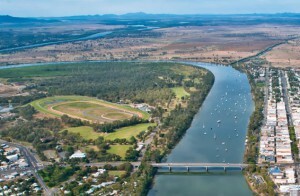 With the undeniable affordability of the Gladstone market it seems likely that this typical trend will continue here, however, nothing is guaranteed. 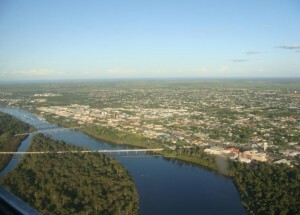 The Rockhampton property market slipped moderately for the past year, with house prices falling 1.9 per cent, to $265,000 and unit prices contracting 1.3 per cent, to $295,000. Units continued to outperform houses, as they’ve done for much of the year, and ended the year more expensive than houses. This atypical performance may be the consequence of the limited unit market, which represents less than 10 per cent of the region’s dwellings. Local sentiment has improved over the past few months. In light of this improvement, the rental market has seen improved market fundamentals as vacancies have followed a downward path for the past four quarters. The weekly median rent for different type of dwellings have also increased over the March quarter, potentially driven by an increase in rental demand. The economic drivers of housing demand have remained weak for the past few years. Population fell by 0.2 per cent for the 12 months to June 2017 driven by the exodus of 844 residents. The Fitzroy SA4 unemployment rate of 6.9 per cent in March 2018 remained above the state’s unemployment rate of 6 per cent. The outlook of the sales and rental market remained challenging. However, the REIQ has the view that house prices will stabilise in 2018 and the rental market will also see improvement by way of lower vacancies and increased weekly rents. The Mackay house sales market has delivered an outstanding 4.1 per cent growth to the annual median house price, to reach $333,250, and live up to last quarter’s forecast of a stronger start to 2018. This market is now officially in recovery. However, the unit market performance remained weak as unit prices fell 7.8 per cent, to $212,000 for the past year. 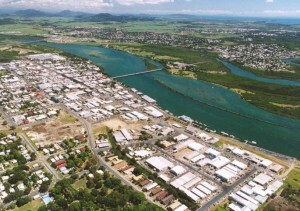 Mackay is the second most affordable unit market in the state. Townsville delivered a surprising fall of 3 per cent in the annual median house price for the year to March, to reach $325,000. Even more surprising, units grew a massive 5.7 per cent for the year to March, to $280,000. House market indicators, such as days on market and vendor discounting all indicate a market on the improve. Days on market have come down from 70 days in 2017 to 62 days in 2018. Vendor discounting has moved from 8.4 per cent to 7.4 per cent, which indicates houses are selling faster and vendors are discounting less to close the sale. The REIQ is optimistic about the Townsville market through 2018, confident that buyer demand will strengthen and prices will improve and move this market towards a recovery phase. 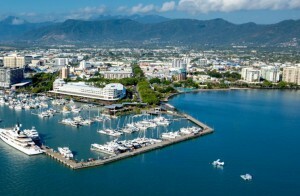 Cairns delivered steady growth of 2.5 per cent over the past 12 months, to arrive at an annual median house price of $410,000 in March 2018. The Cairns house market has been one of the top-two regional performers (excluding the southeast corner) for the past five years of all the areas analysed in the Queensland Market Monitor. House prices increased 17.1 per cent or $60,000, from $350,000 in March 2013. The unit market was weak in the year to March with the annual median unit price falling 1.7 per cent, to $232,000. Cairns is one of the big winners from the announcement of the $5 billion Land 400 Phase 2 contract. Cairns’ Redcat Industries has a teaming agreement with the winning tenderer, Rheinmetall Defence Australia. This means high-skilled jobs will be created in the region and regional businesses will benefit from the transfer of technologies and skills.